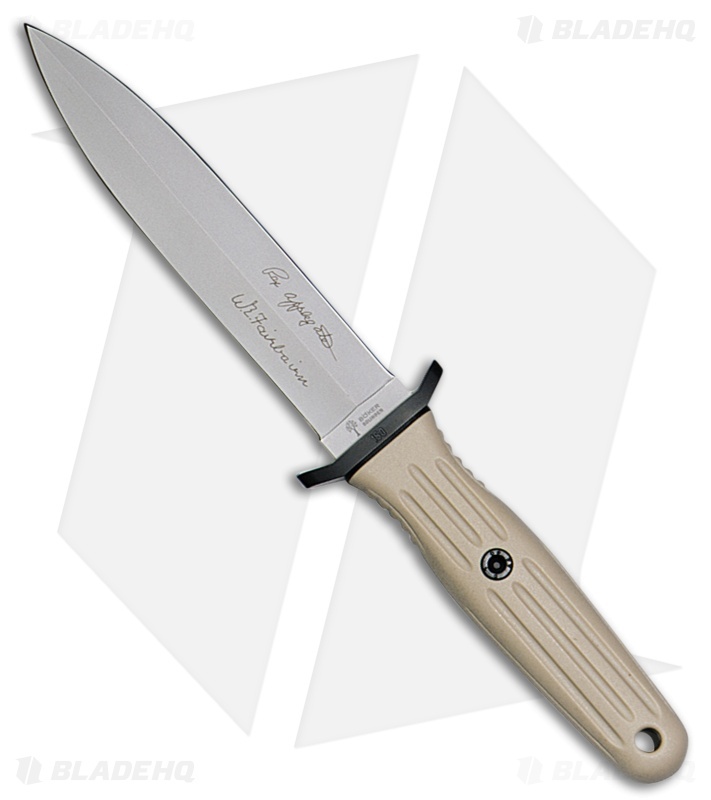 Based on the original Applegate-Fairbairn fighting knife 120543AF, this desert version resulted from Operation Desert Storm. With an 11" overall length, the 6" double edge 440C dagger blade has a bead blast finish. A black coated steel guard adds extra security. The textured sand colored delrin scales are weighted to provide a more handle heavy knife. Included with a sand colored kydex sheath with teklok for a variety of mounting options.